Work and Copy Rooms | Donnegan Systems Inc.
With work and copy room solutions. 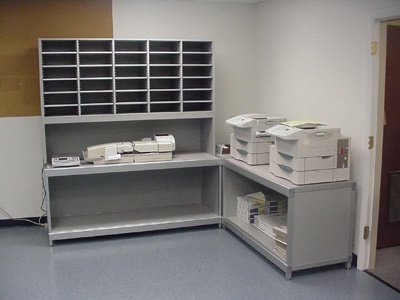 The versatility of our products becomes very apparent in our work room and copy room applications. The solution can be designed around your particular work flow. Locked storage for expensive supplies. Open storage sized to fit your copier and appliances. Cabinet shelves that can slide the printer out while in use. The configuration of this work room was designed to facilitate specific tasks. 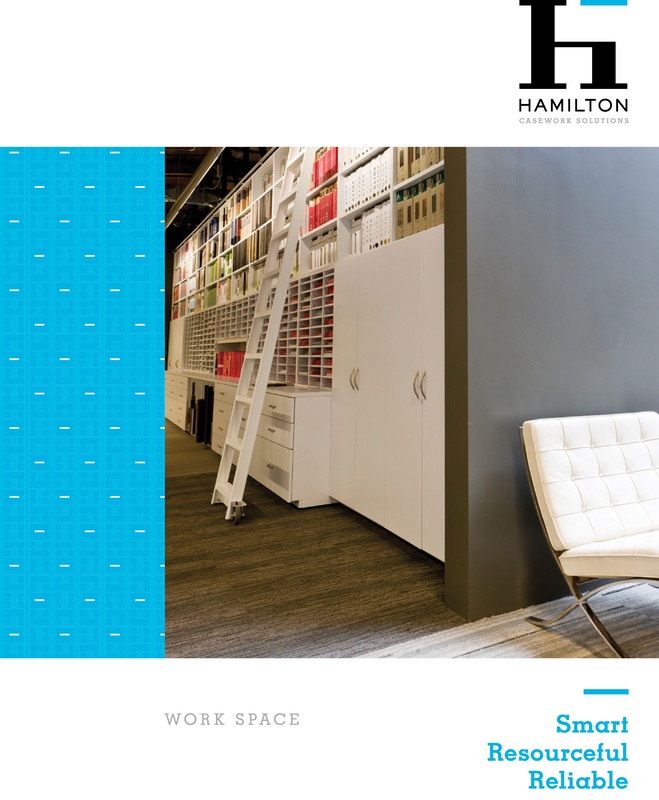 We can build casework like vertical storage or a hexagram-shaped corner workspace that supports the performance of tasks and optimizes the available space. Our work islands have a number of different applications to suit your office needs. In this open office environment the island offers generous work surface and additional open storage. 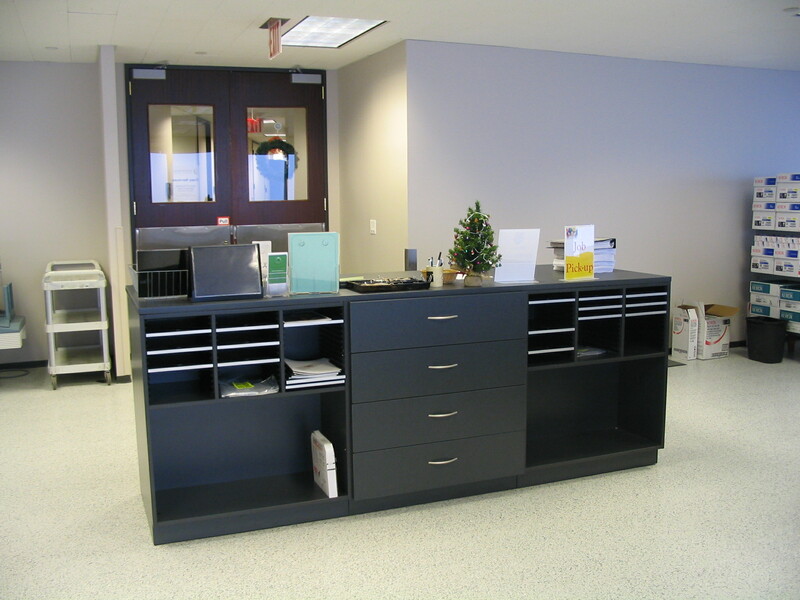 Our copy room casework can be multi-purpose. 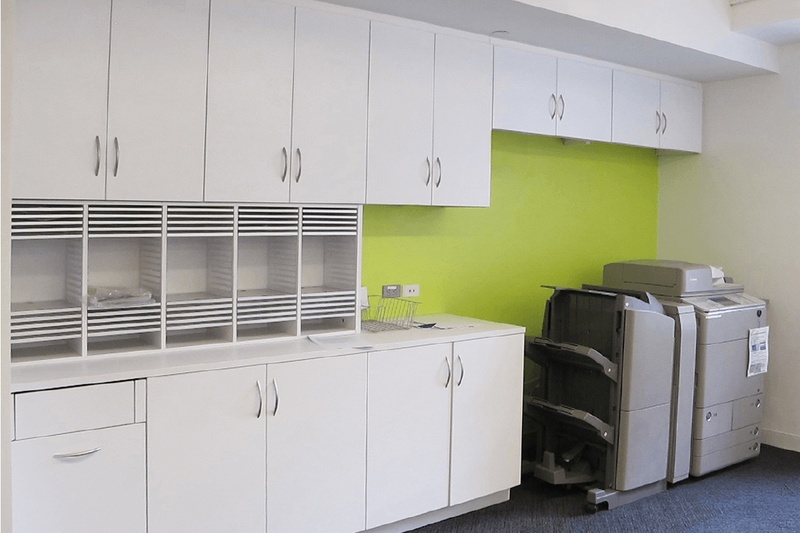 This attractive system sits adjacent to a copier and utilizes a small space and adds cabinet storage as well as a functional work area. See how work and copy rooms can be functional and attractive too.